New faces are always welcome in the publishing world - and Gathering Storm Magazine has just produced its first issue. 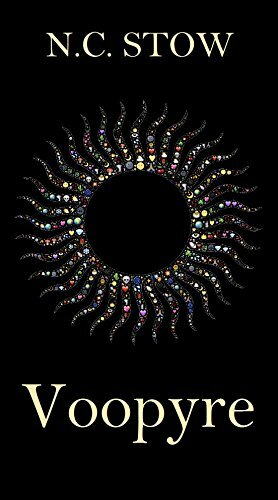 It's not the longest magazine - 40 pages in total (78 on your Kindle) but it packs a lot in with 11 writers featured with both flash fiction and poetry pieces. The starting piece is an oddity - as it spirits you away from the magazine itself via your browser to a choose your own adventure style story on the web. A definite oddity, but which marks out Gathering Storm as taking a different approach. There's also crosswords and spot the difference activities, as the magazine goes beyond just a collection of stories and becomes more interactive - it's nicely presented, too, with real effort going into the illustrations and the design of the publication. On the writing side, a couple of the stories feel a little light, but I really enjoyed Wooden Jack, by Henry Galley, and Kristin Lea Berry's The Smiling Bob Radio Show, a sharp and bitter sting in the tale at the end of the collection. There's delicate and thoughtful poetry from Gloria Williams Tran, and Horlin Maze, by John Morrison, which I'm not quite sure what he's aiming for but comes across as a historic element in something larger. The work on the map of the maze itself is sumptuous, but I'm not quite sure how to engage with that article. On the whole, though, this collection gets a thumbs up. There's a general feel of speculative fiction throughout - horror and fantasy particularly, but not exclusively so. As with many first issues, I'm sure it will become stronger as it goes along, and become known to a wider range of contributors - and, one hopes, a strong readership following as well! 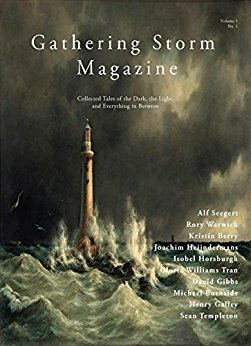 Gathering Storm Magazine is available on Amazon. I wasn't quite sure where things were going with this book at the start - which begins at a fairly slow pace. Hold on to your hats, though, things speed up pretty quickly once the introductions are done! Alex is a pizza delivery girl whose whole world is about to change. She finds herself sent on a pizza drop that will end up changing her life... and changing everything she knows. The delivery brings her to meet Ronan for the first time, who reveals to her that she has been being observed by an alien civilisation - and that another alien race is coming for the technology, with her life forfeit if they get hold of it. Caught in the middle of these alien rivals, and with the CIA getting in on the act, Alex and the handsome Ronan fight to find a way to avoid the alien menace - while falling in love along the way. I honestly wasn't sure I'd be keen on this book to begin with, but it really grew on me the more I read. There are some really poignant moments in here, especially involving Alex's family. Alex seems to take the world-changing revelations a little too much in her stride - but that aside, this is a delightful YA novel, which with its mix of alien cultures and human romance reminded me of the likes of Stephanie Meyer's The Host. I tip my hat to author Xela Culletto, for confounding my expectations. 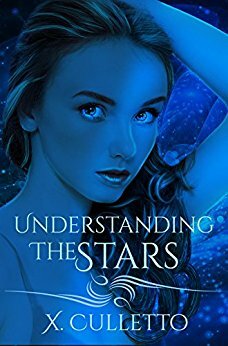 Understanding The Stars is available on Amazon. You know I love the short stories of NC Stow by now, right? There's a word from the Bible - Selah, meaning pause and reflect. I'll come back to that word in a moment. 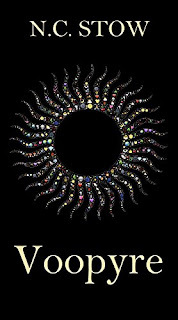 Voopyre is the latest story from this explorer of myth - whose novel Balancers I must dive into soon. It deals with the fearful Voopyre, with its yellow reptilian eyes and terrible screech, whose bite can sunder the fabric of the world. More than that, it wraps it all up alongside creation myth and the question of what we value the most. For a short story, that packs a lot in - and I'm not sure I entirely gathered all the implications of the tale. Which, though it springs from a different heritage, brought me back to that Biblical word. This story made me want to pause and reflect upon it, and so I close the pages on it and say to myself Selah. Voopyre is available on Amazon. To try to explain this hefty novel is tricky. Let's start with the cover for a moment, which makes it look like a romantic adventure in rural... America? Canada? Not so. This story involves a virus that gives those infected by it psychic powers - at the cost of a dramatically shortened lifespan. Into this situation comes Carter Boyd, a man who loves bars and music and Evil Knievel. Elsewhere, a woman in her 40s scribbles journal entries while locked up in a home for assisted living, while still elsewhere, a scientist strives to make a breakthrough he feels could change the world. Somehow, these different strands will come together - but boy, is it hard work getting there. Wordy and with no consistent narrative, we hop from character to character rather aimlessly, and even have the occasional extra viewpoint thrown in for no apparent reason. There's little action until about the midpoint of the novel, then it arrives in a flurry, throwing the tone of the book all over the place. There can be chapters where it's hard to figure out which character we're with for long periods. There's a profusion of fragmentary sentences, then others that run on, and on, and on. The whole thing feels unedited, and it's almost impossible to tell what kind of book the author is going for - is this a thriller? A sci-fi? A horror? An ode to Kerouac? Having read the whole thing, I still don't know who the main character really is - though Carter is the closest to a central figure, we spend long periods with the supporting cast. I was reading this for a book group or I'd have given up long before the end - heck, long before the third chapter. It really, really needs a much tighter narrative, some actual structure to it and a very thorough edit. 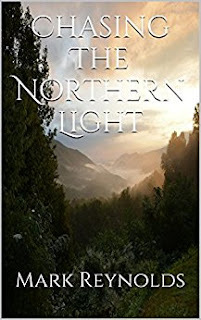 Chasing The Northern Lights is available on Amazon.